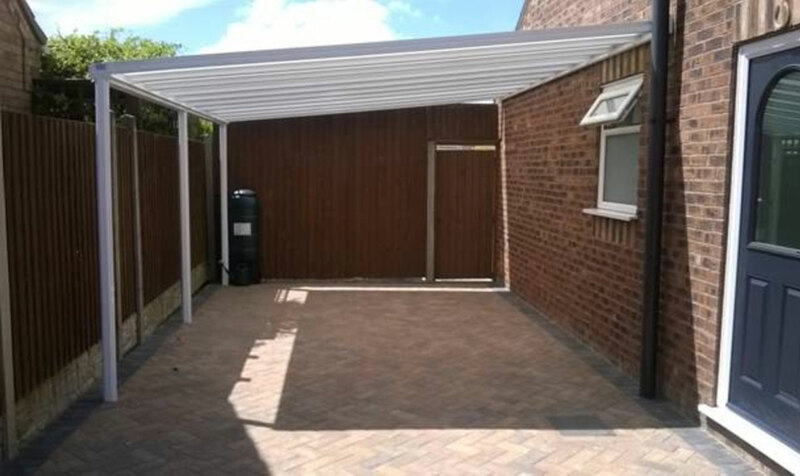 A Glass veranda or Polycarbonate Canopy improves the architectural appearance of most properties, gives extra kerb appeal, wow factor and adds real financial value. A Glass Veranda is a great investment. 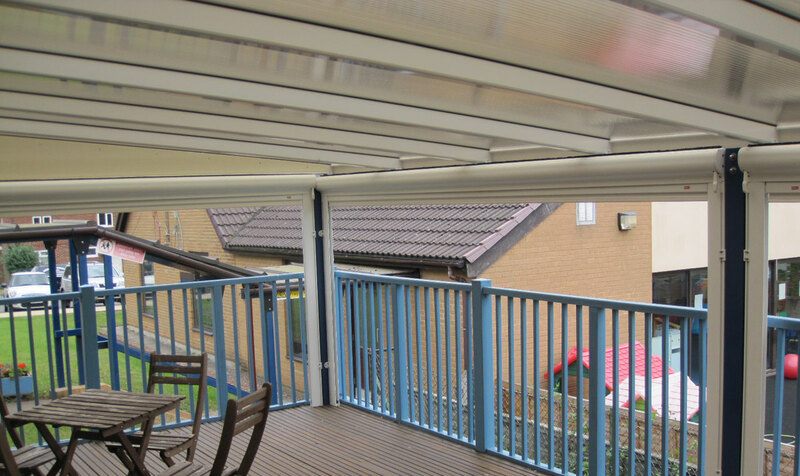 Our Verandas are also available with 16 & 35 mm Polycarbonate Roof Panels. The Glass Veranda is one of the most enjoyable parts of a building. The Great Outdoors , protected by a roof and very close to all the amenities of the inside. There are many activities to be enjoyed “on the veranda”; coffee, drinks, lazing, chatting with friends and family, various outside jobs e.g brushing the dog, cleaning the bike. This is not an exhaustive list! An Alfresco365 Glass Veranda is a home improvement you will always appreciate. Strong, low maintenance, long life, extruded aluminium frames. 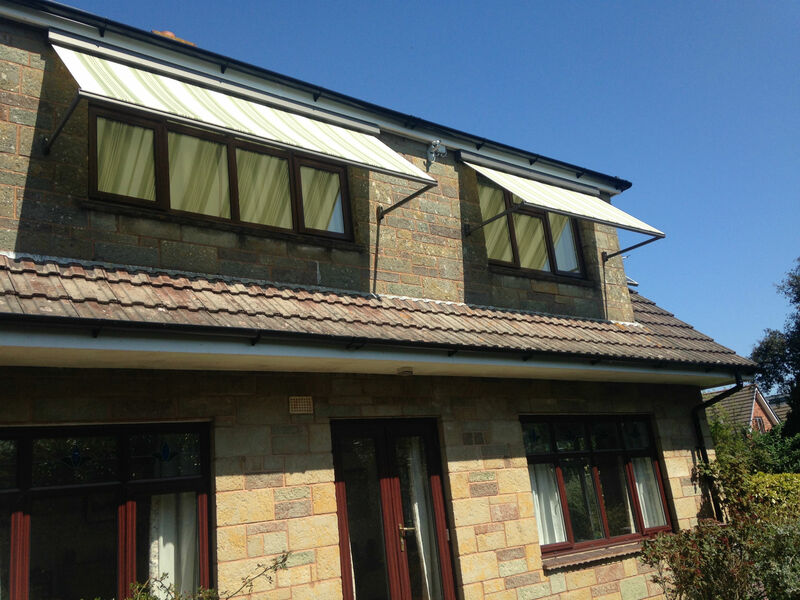 The Glass Veranda frames have built in guttering & downpipes, optional built in LED lighting and options for side walls in fabric or glass. We have 2 models to choose from: the “Simplicity 6” with a projection upto 3.1 metres or the wide span “Alfresco” model. 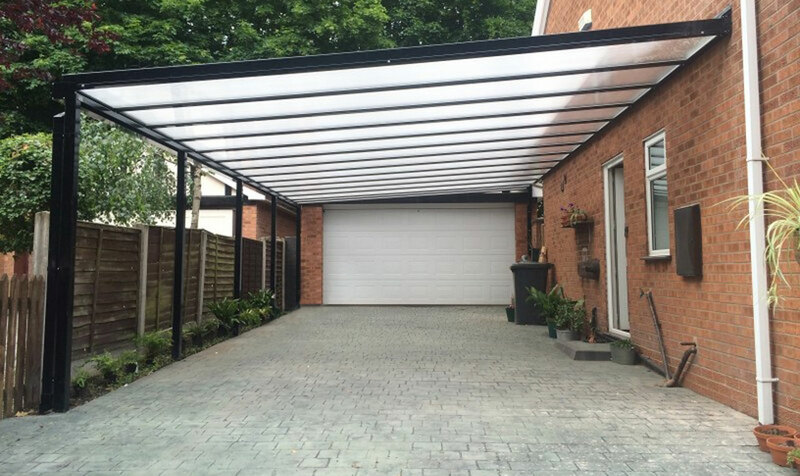 The Alfresco glass veranda has a span up to 6 meters between posts plus a possible 6m projection. 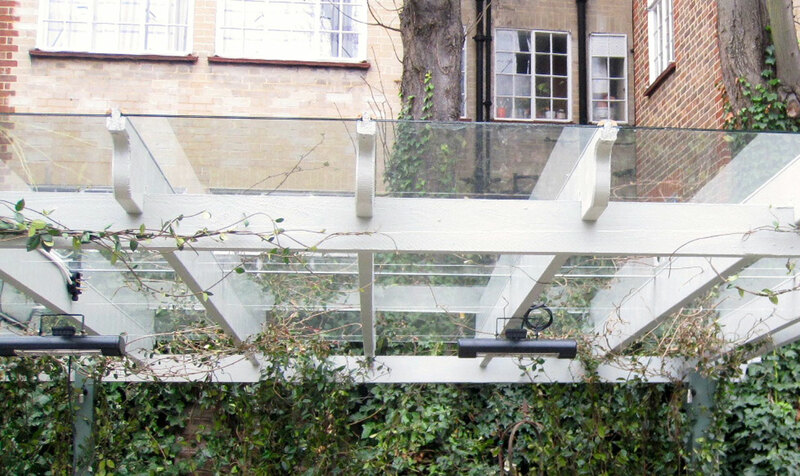 Our glass veranda models are made to measure to fit the customers requirements. 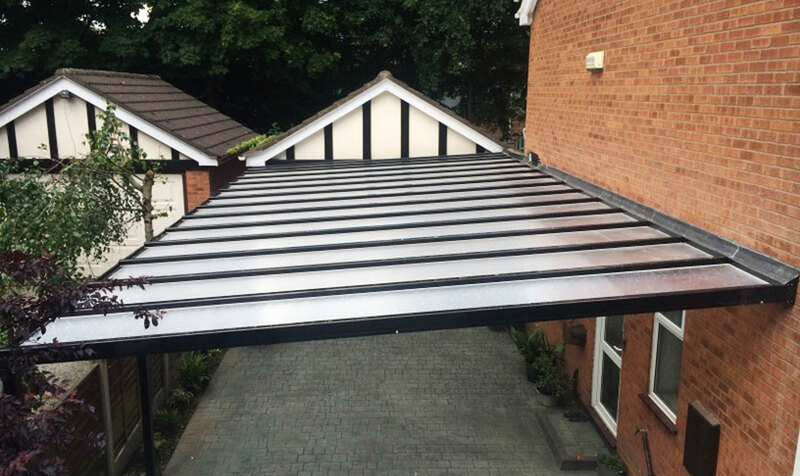 Available in Contemporary, Traditional and Victorian styles, our glass veranda canopies are a superb addition to any property. Simplicity 6 Glass Veranda has been designed specifically for traditional style Veranda use. 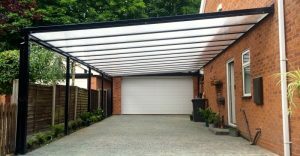 Available with a projection upto 3.1 m and unlimited run distance this Glass veranda can be used as a house wrap , or on a single side or as a short porch type arrangement. The Alfresco BIG SPAN Glass veranda is a robust structure and suitable for many home uses and very useful in the hospitality sector to extend restaurant dining areas and all types of alfresco activities. The Glass Veranda becomes a Glass Room. Add folding or sliding glass doors to create a completely enclosed garden room. 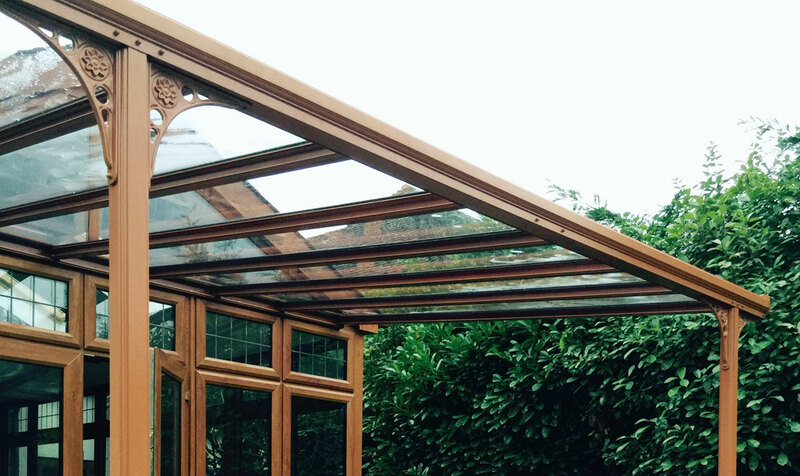 All our Glass Veranda models are available with polycarbonate roof panels instead of glass. We also have 2 other models which are designed for polycarbonate sheets which offer 98% UV protection. The Simplicity 16 and the Simplicity 35. Stylish contemporary design and available with cast aluminium Traditional Victorian detailing. Simplicity 16: 16 mm structured polycarbonate spans upto 3.5 metres and unlimited run length. 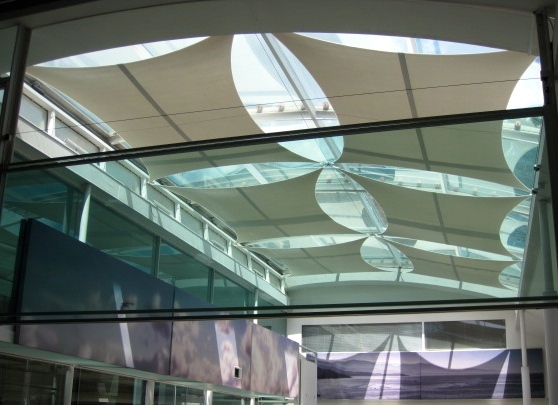 Simplicity 35: 35 mm structured polycarbonate spanning upto 6 meters and unlimited run length . The Simplicity 35 by alfresco365 is Certified as a NON-FRAGILE structure and therefore ideal in commercial & school settings. This structure has passed the ACR(M) 001:2005 Test for Non-Fragility of Profiled Sheeted Roof Assemblies and is Certified as a NON-FRAGILE System, providing the installation conforms to span and loading charts. 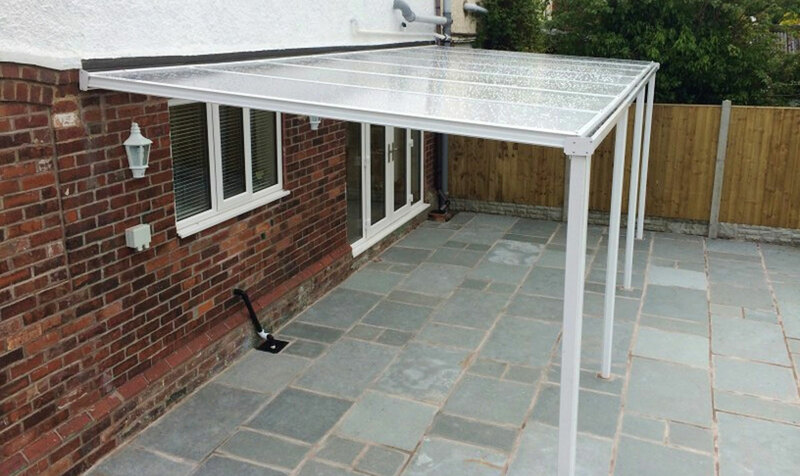 Both of our polycarbonate models are made to measure , carry a 10 Year Guarantee, & can be fitted a minimum pitch of 2.5 degrees. 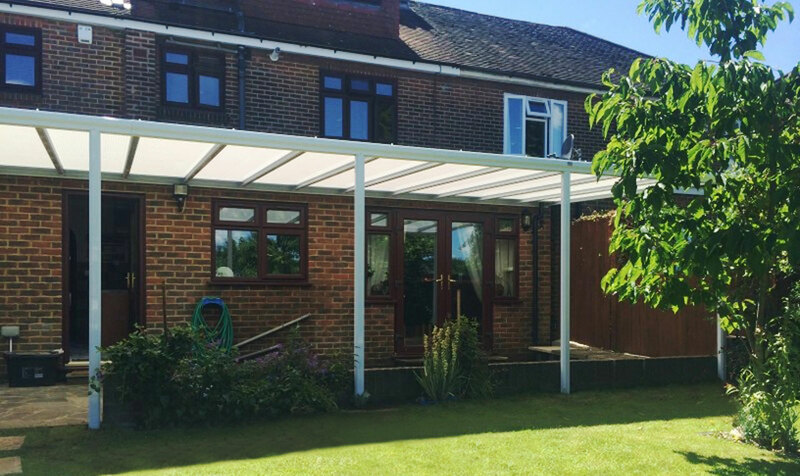 Supplied as standard in powder coat White all our verandas and canopies can be powder coat colour matched to any RAL or BS colour way . Glass Verandas Hampshire . Glass Verandas New Forest . 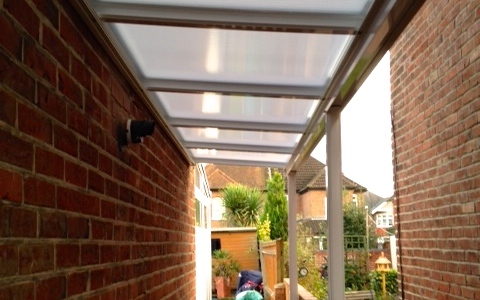 Glass Verandas Lymington . Glass Verandas Bournemouth . 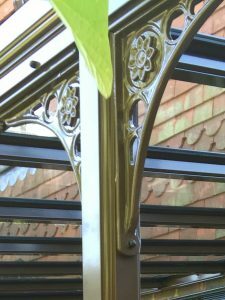 Glass Verandas Dorset . Glass Verandas Wiltshire . Glass Verandas Salisbury.